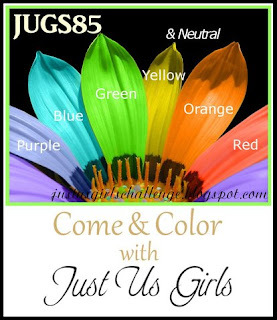 Rainbow bright: JUGS #85 | Work in Progress. You're going to want to play along with Just Us Girls this week. I'm just sayin'… the uber talented Dana's got a FUUUUN color challenge - use the colors of the rainbow on your card or project!!! My ric rac die called out to me for this challenge! I thought a rainbow of colored ric rac would be so fun. Since the ric rac and buttons made me smile, I figured the sentiment was well suited :) Hopefully it'll make a recipient smile someday :) Kind of a cute, one-layer card; I like the way it turned out. 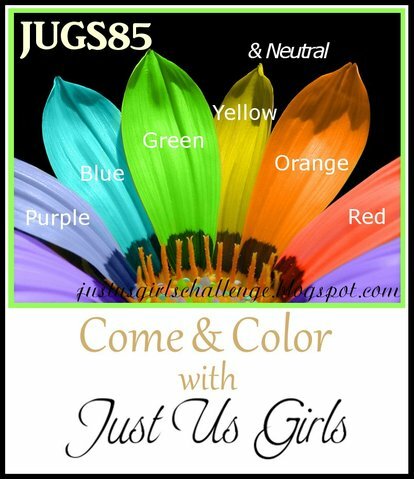 You have to check out what the other oh-so-talented JUGS have made with these colors! Posted in Cards, JUGS DT, rainbow . Bookmark the permalink. RSS feed for this post.